Ciao! 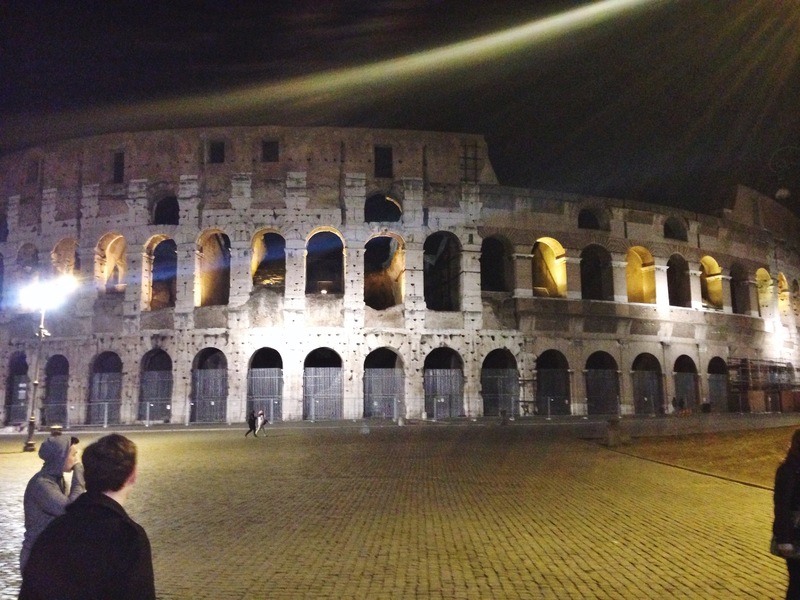 Well, I am finally here…in Rome! Despite Winter Storm Juno’s threats of delaying my flight, I made it to Italy all in one piece, without any lost luggage, and on time! These first several days have been filled with so much that I can hardly believe it hasn’t even been a week yet! I’ve had my first tastes of real Italian food, got my first glimpse of the Coliseum (after spending an hour and a half getting totally lost), and had about five freak outs over how cheap, fresh, and delicious fruits and vegetables are from the open-air produce markets that are found on what seems like every corner. These experiences have been made even better with the company of the other students on this program. It’s only been a few days, but already I feel close to my new friends on this trip. 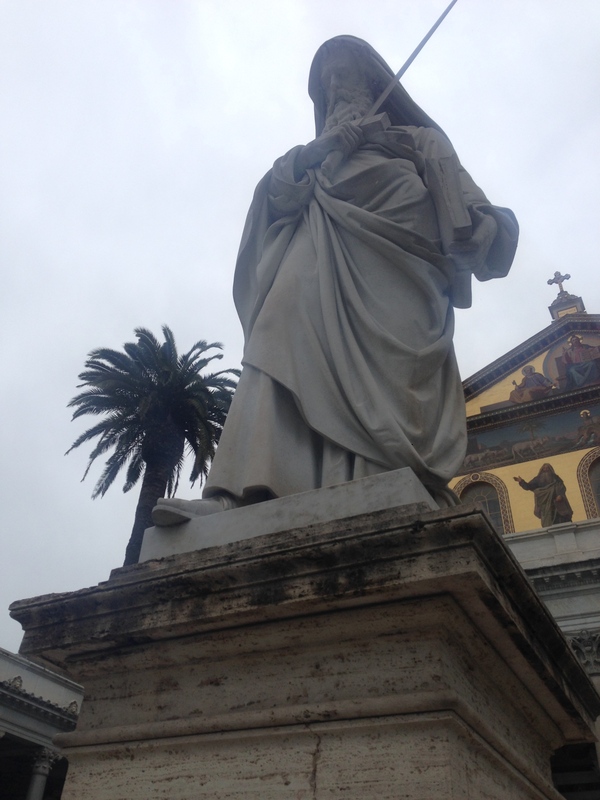 My apartment is located in Garbatella, which is south of the center of Rome and about a twenty-minute walk away. 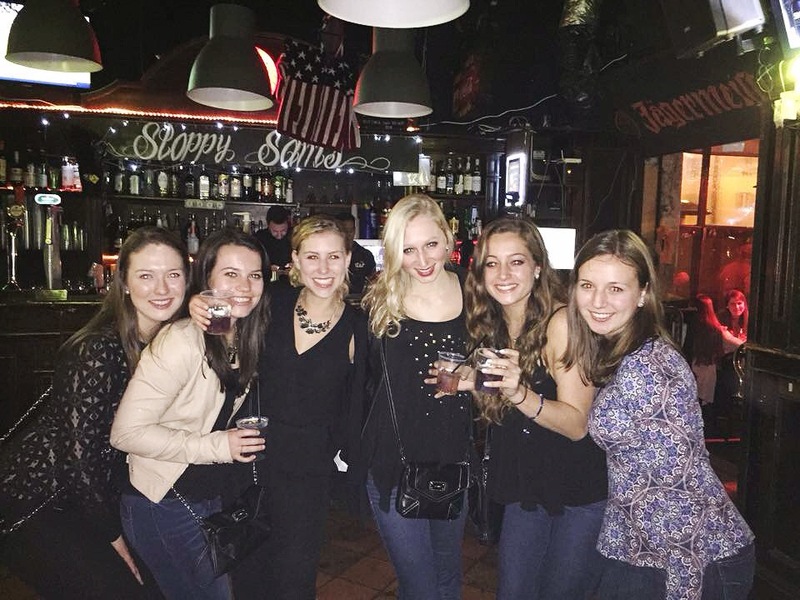 My five roommates and I (along with everyone else on the program) live among local Italian people, which really helps us in our goal to immerse ourselves as much as we can into the new culture around us. I thought the “Ah! I’m actually living in Rome” moment would happen when I was eating my first plate of pasta or taking my first steps on the cobblestones of the city, but the moment happened when I didn’t even expect it. 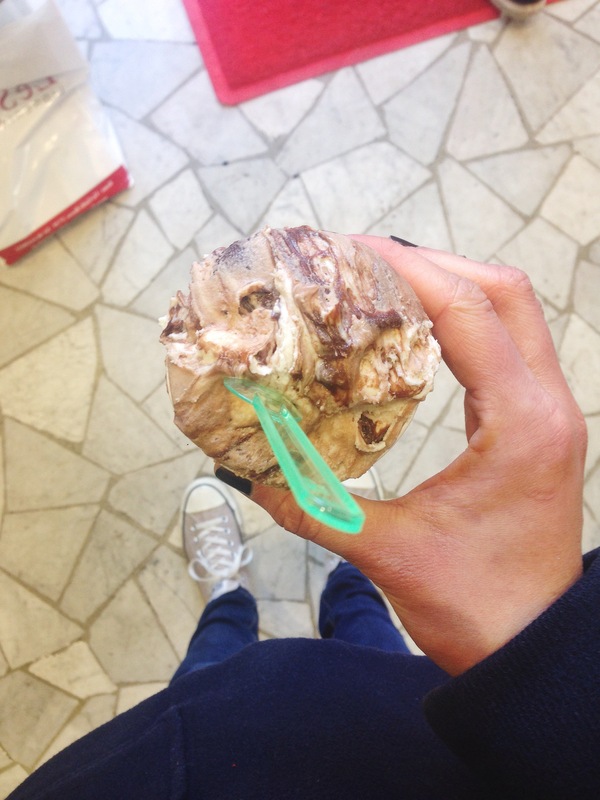 On Friday, a group of us were on the hunt for gelato when we ‘stumbled’ upon the Basilica di San Paolo. We walked inside, hoping to catch a quick glimpse of it, but we had no idea what we were in for. 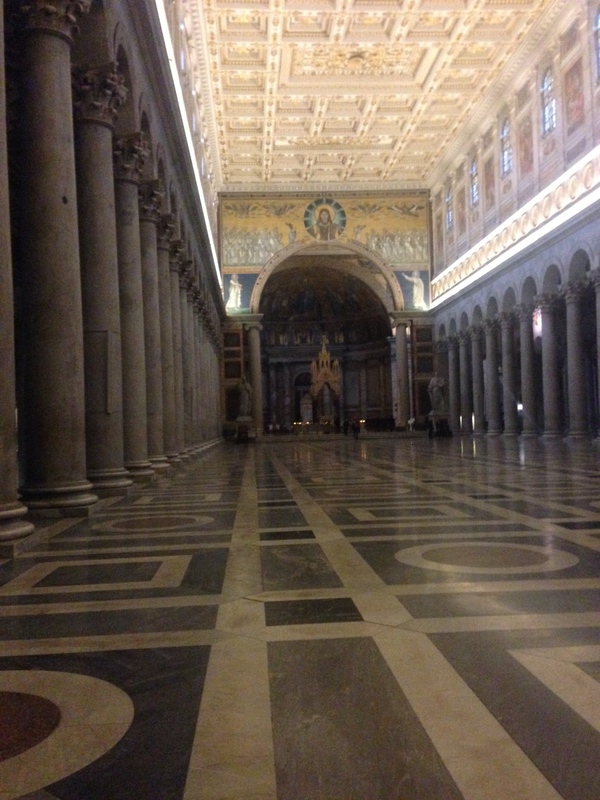 The basilica was breath taking and stunning. 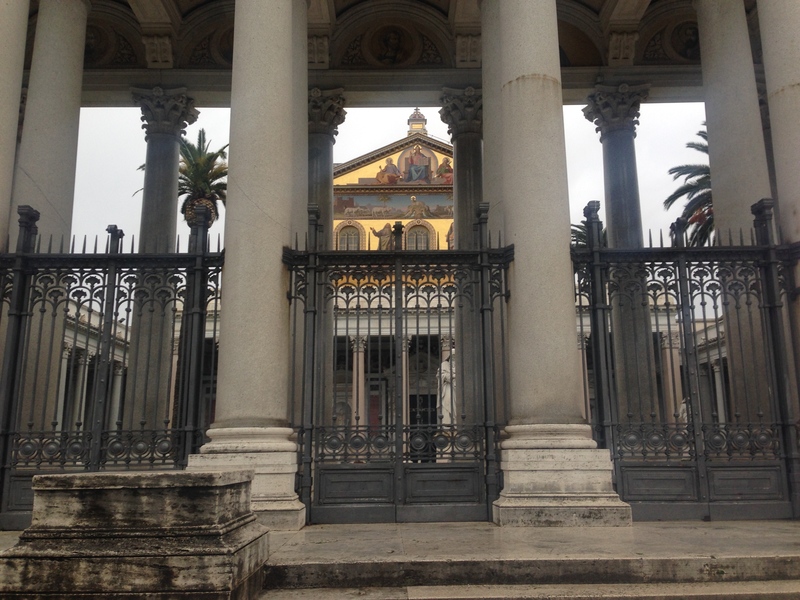 As I walked around, finding more and more to look at around every corner, I finally felt it…I am in Rome—A place of history, culture, and beauty. I am so excited about where the rest of the journey will take me. 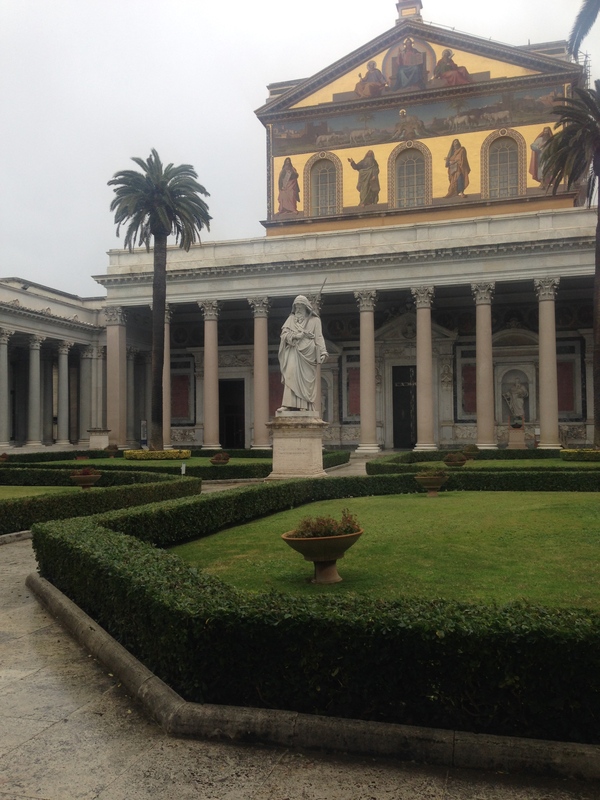 Check out some photos from my first several days in Rome and follow me on Instagram for even more! My lovely roommates on our first night out in Rome! Okay, so I might have bent the truth just a little bit when I told you taco night was my favorite as a child. Tacos were definitely a close second, but the best of all nights in the Murray household was always pasta night. My mom made pasta a couple times a week, and every time my brother and I smelled those noodles in boiling water, you would have thought it was Christmas. As I’ve grown, I have learned that eating two huge plates of pasta twice a week is probably not the best decision for my nutrition and health. 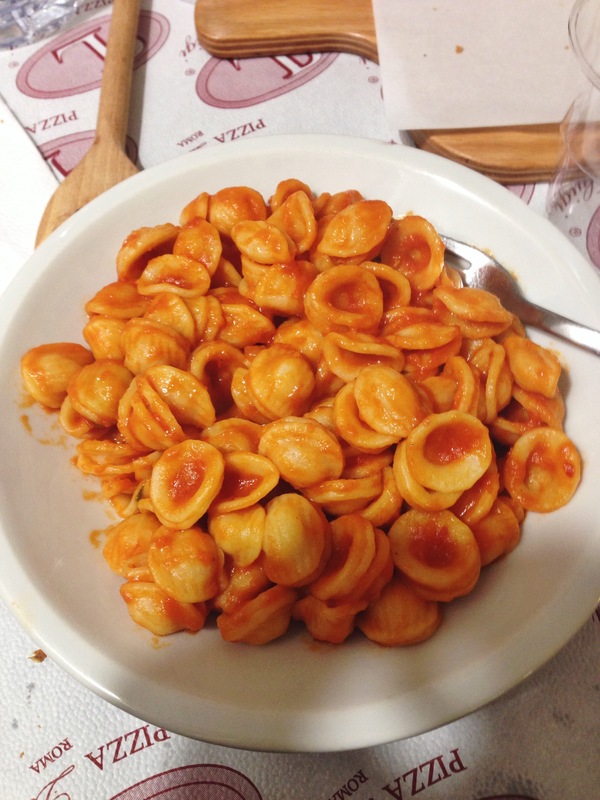 However, recently I was introduced to a new kind of pasta that brought me right back to chowing down on big plates of my favorite food. 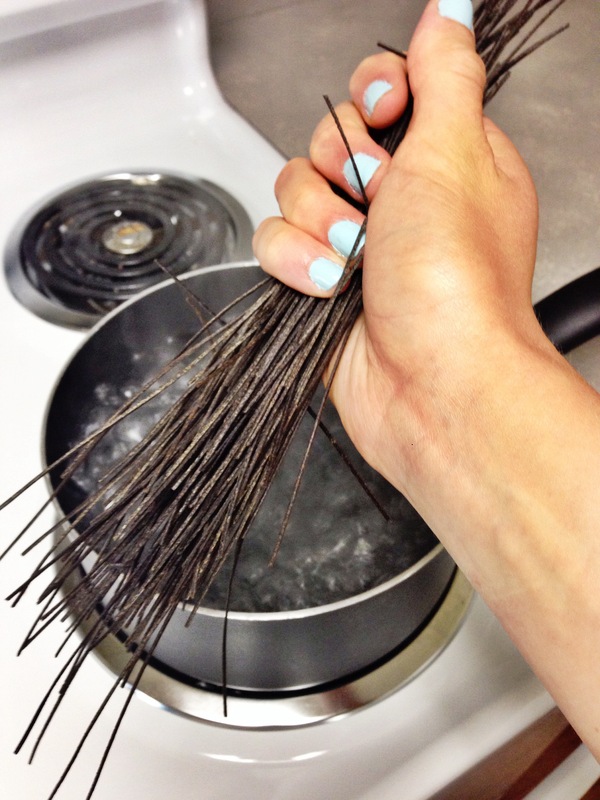 Enter…Black Bean Pasta. The only ingredients in this pasta are organic black beans and water! It is cooked just like traditional pasta and tastes delicious with all of your favorite sauces! I have made this pasta several times for dinner and each time, have topped it off with a different sauce. 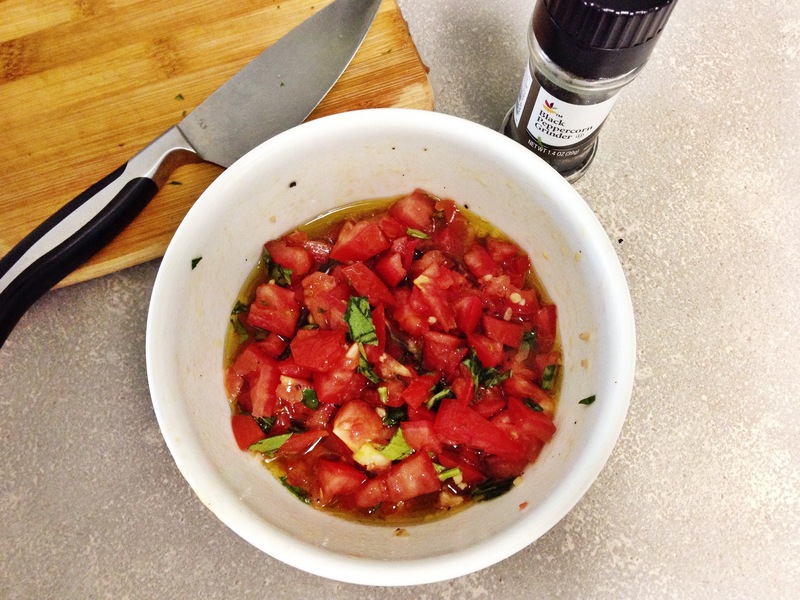 So far, my favorite has been this tomato bruschetta sauce. 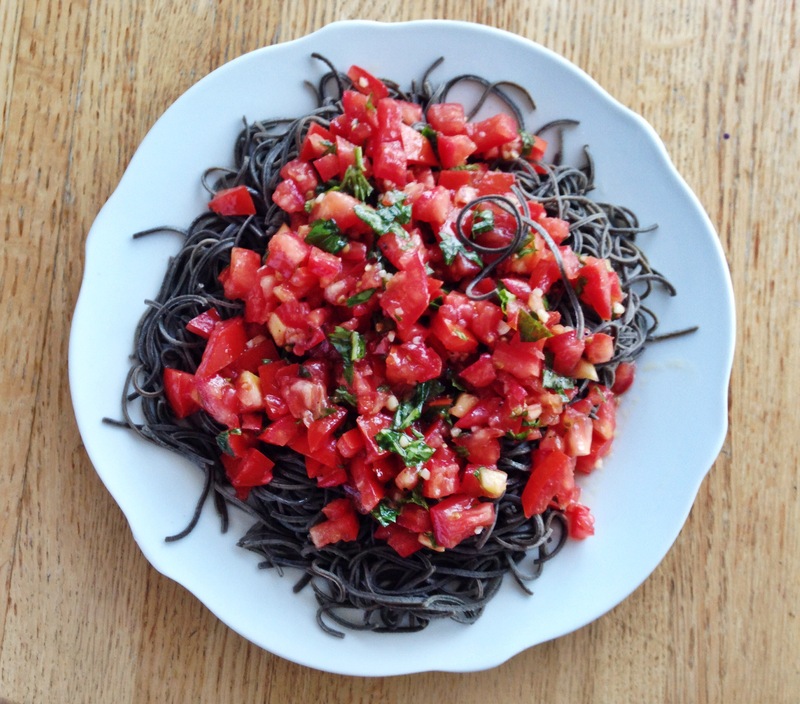 No matter what you top it with, black bean pasta is a fantastic, healthy alternative to traditional pasta. My inner-child rejoices…pasta nights are back!! Bring water to a boil and add as much pasta as desired. Cook for about 8 minutes and drain in cold water. 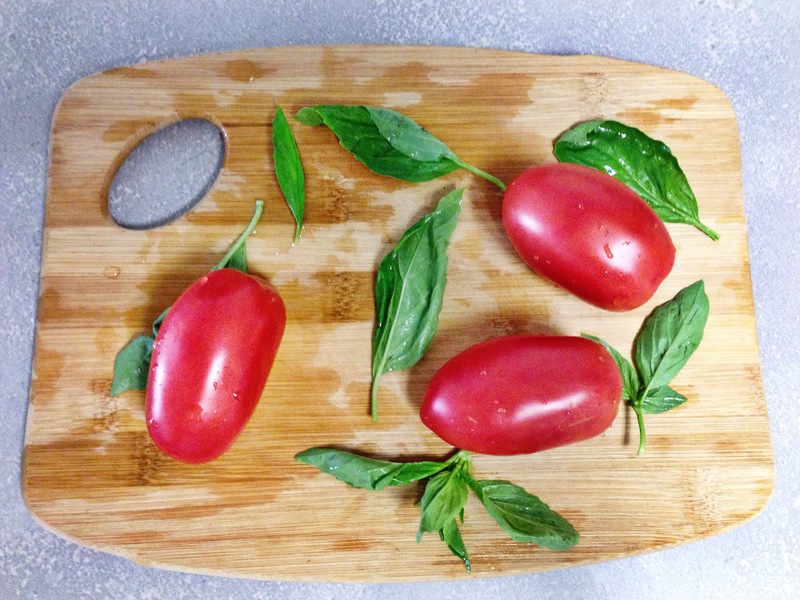 Top pasta off with bruschetta sauce and enjoy! What does pasta night look like in your home?